When I was running my personal-best marathon in 2011, I noticed that a couple of the later miles actually felt pretty easy. They were downhill, or maybe just not uphill, or maybe the crowds on that part of the course were extra-fun. Whatever it was, those particular miles didn’t feel as hard as the ones right before it, or the ones right after it, for that matter. 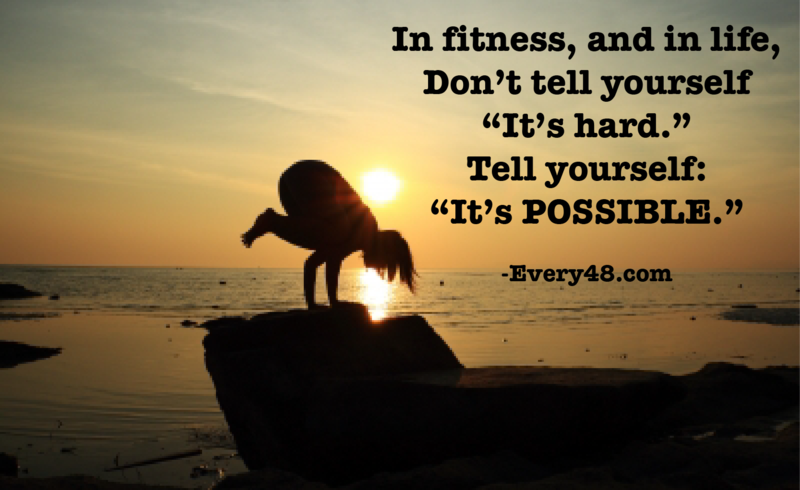 A fitness freebie works like this: you get something that your intellectual self says you didn’t “deserve.” Like, when you’re working on losing your baby weight (ahem) and you lose weight in a week when you didn’t work your program completely, perfectly well. That’s what happened to me last week: I expected the scale to go up, but it went down. That’s a freebie. 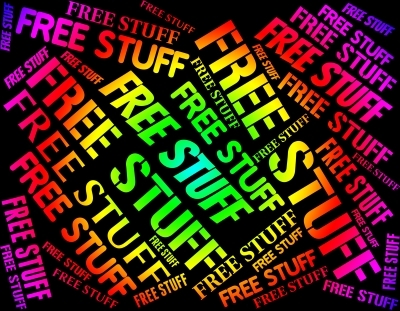 So, what does it mean to take the freebie? Simple. When you have an unexpected positive outcome, you just take it. No questioning, no wondering what you can “get away with” next time, no head-scratching. Our bodies do their thing on their own schedule sometimes, and trying to assign direct cause and effect actions and outcomes can get really tiring sometimes. Also, those little mind games can be startlingly inaccurate. Weight loss is one of those games. If I eat a heavily-salted meal the night before I weigh myself, it might look like I gained three pounds overnight, when all that happened was that my cells retained water in order to preserve the sodium equilibrium inside and outside of my cell membranes. (Yes, biology geekdom is rearing its head at Every48 today!) It doesn’t mean anything else. And, yikes, some weeks you can eat really well and exercise really well, and the scale doesn’t show it…until the following week. That actually happens. A lot. When you get a nice result that you weren’t quite expecting, that’s okay. Just remember it when you have an unexpected disappointment down the line, and then realize that it’s all a big cycle and that as long as you’re seeing the progress you want to see over time, you’re doing just fine. Recent Every48 workouts: Finally got outside for a 2-mile RUN on Sunday in Seattle. Awesome, finally, to be moving again in my favorite sport. Still working on the pregnancy pounds, but this is a really good development, because running makes me happy. Today’s plan: a strength workout at the gym while Baby Bear is at the gym’s child care center. Thank you, thank you, thank you, every gym in the world that offers child care. It makes a huge difference in our ability to take care of ourselves, especially in those first critical postpartum months. Next Post What I love about comeback stories, part 1.